And other than a few main reasons of “how does it play, how does it look or how does it feel to you.” How it sounds ought to be way up there on your list. So without any further babbling lets give them a listen. Well I must admit that it was hard to try and listen to this Breedlove Guitar because of the chicks vox were really good as well. I’m sure ya all (Texas lingo) would agree. To me this acoustic has great sound projection for only being mic down.It has a full sound to it. With a lot of acoustic guitars they tend to be either low or high end sounding. But this one to me sounds some what balanced. Sound, if this was the only criterior! Then this guitar has it hands down. And the good thing about it is, this Breedlove Pursuit Concert Series is affordable for everyone. You can find it for about $500 at zZounds. Okay so Dave Goodman from Yamaha talks way to damn much! 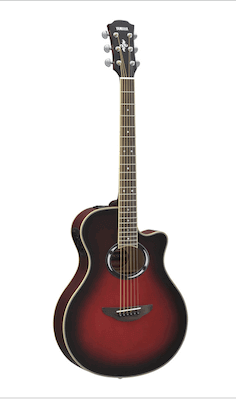 But what you did get to hear of the Yamaha Acoustic Guitar APX500111 was pretty smooth indeed. For me hearing this guitar like this, it seems as though it don’t have a big sound. So its not projecting like I would like it to. Also so it tends to sound on the high end with very little mids and lows. Again! If sound was the only criterior. For me I like more mids and lows. The projection of its sound was weak due to that I believe. But some people like this sound and the Yamaha Acoustic is also an affordable instrument for all. Coming in at just $465 again you can find it at zZounds. If all I had was just these two videos to make a dicision based on sound, with these two Guitars. Then I would go with Breedlove. But thats not what I’m advocating you do. There are many other things to consider, so I incourage you first go to the music store and play both of these guitars. As I’ve said in another post, you might be surprised to find that the Breedlove just don’t feel good to you. Or that Yamaha has a better sound to it, that what was depicted here with these videos. Then once you figure out which acoustic guitar is you, come back here and order it online! Yep I said that its shamless self promotion I know. But the real reason is this. That guitar at the box store is for display, and its been played a thousand times or more! Ok again I know this style of review was alittle different but hey! I don;t like top 40 music either. If you want a more extensive review on Breedlove Pursuit Concert Series Guitars then Ultimate Guitars has a good one. I do hope you got something out of this as it was fun for me to do. In the upper right hand corner I Urge You To Subscribe. In doing so when I get these 12 backing tracks done they’re yours free for subscribing. Plus you will be recieving information on how to further your career in music. Which will be very useful to you, so SUBSCRIBE NOW! I want to leave you with just one thought. Its not important as to what famous artist plays that guitar your looking at. Or how pretty it is. But rather, Whats In Your Acoustic Electric Guitar that counts! When you find out then talk to zZounds about your guitar needs. Leave Your Comments Below and Share this with someone. I found this to be very informational to me only because I know nothing about the quitar. I think your site will help many people on their way to a great product. I thought the images on your site were eye popping and your content kept me engaged. I can’t wait to read more. Thanks for all the information. Hello Lorraine, thanks for stopping by. Helping someone is what we’re hoping for. As you can tell this post of “Whats in Your Acoustic Electric Guitar” is for those who are looking to purchase their first guitar. Also we try to help those that need to find guitar training by directing them to some good qualified instructors. 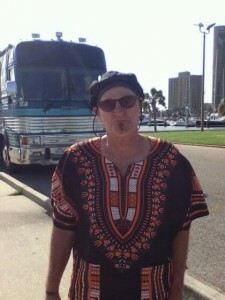 We can also aide in the advancement of the musicians development and career. Lorraine have you ever considered guitar lessons before? I loved the sound of the breedlove, it sounded more eery to me, and made the song sound beautiful. Great reviews, I would have to go in the shop to compare the two though as you said. Great information on acoustic guitars. My son is looking for one and I fell into this site. We are excited about all the information here. So many things to consider. Don’t run out and just buy one, I didn’t know that you need to fit yourself to a guitar and that they are not all alike. Thanks to you we are checking out the feel of all the guitars he is interested in, and LOL we will run back here and buy one from your site. It is because of your insight that we are going to find the right fit for him. Hey Kitty Clark, glad you found me. More than glad this information was useful for you and your son. Thats exactly right don’t just go buy one. Go out and try out 10 or 15 guitars if you have to. From experience I’ve sat down with 5 or 6 of the same make and model guitar, and size most of the time they all had their differences. The size is really one of the important factors here. In the early days of American guitars there were only small body guitars. Parlor guitars, Martin calls them “OO and O. Taylor calls them Grand Concert and the Mini or Baby. Gibson calls them J-165 and the L-OO. I find these very useful in the studio because the have a mid range sound that cuts thru the mix. Next is the medium size guitar. Martin calls them OOO. Taylor has the Grand Symphony or the Grand Auditorium. Gibson has the J-185. Sonically these guitars don’t have a lot of bass or treble but set somewhere in the middle. These guitars are a very logical choice if you do some finger picking and some strumming and even a little flat picking. So if you are doing a lot of different styles then a medium size is a logical choice. Large size guitars. Martin calls them the Dreadnaught or Jumbo. Taylor calls them Dreadnaught or Jumbo. And Gibson calls them J-45 or the J-200. These guitars have the biggest bass response. If you plan to play more rhythm and need a louder sound then these are the guitars you would look at. Do you get a Cutaway or a Non-Cutaway guitar. It effects the sound, try one out and see for yourself. Its been my experience that the Non-Cutaways have a fuller and louder sound. The two guitars I talked about in the article was the Breedlove and The Yamaha bot are good guitars. But for a beginner I would recommend a Classical Guitar. These are Nylon string guitars they are best for beginners to learn on. Heck its common for me to play live with mine as I really like the sound. And don’t buy a cheap one or expensive one for that matter. I think its reasonable to spend about $500 on one, that way you have an instrument thats worth something. After you get the guitar and before you play it. Take to the guitar shop or store and have them “Set It Up” for you. Just remember that they’ll know what to do when you say that. Alright Kitty Clark hoped this helped a little more. And please come back and see me I’ll do all I can to help. Hi there – Thanks for the information you have displayed here on your website. I am thinking of learning the guitar and am browsing as to what kind of guitar I need to buy for my first. Would these guitars be suitable for a complete beginner with no experience at all? How long does it take to pick it up? Thanks. Hey Marcella, good to see you stop by. Glad to hear your thinking about learning how to play guitar. Both Breedlove and Yamaha’s are good for a beginner’s first guitar. And in this article I leaned toward the Breedlove Acoustic Electric Guitar. But for a complete beginner I’m going to back up from that statement just a tad! If you would allow me, I would like to give you a few pointers before you buy that first guitar. But keep in mind that these are just personal preferences, based on my experiences. 1. Learn to play guitar on an Acoustic Guitar first, then later move to an Electric Guitar if you want. And I think its easier to learn on a Nylon string guitar myself. I have a Yamaha Nylon string and its great to play. 2. Find you a good acoustic guitar teacher that you connect with, and ask them before you buy your first guitar, in order to get the maximum results of their lessons should you have a Nylon or Steel strained guitar. Then get your guitar based on their reply. Personally as I said Nylon is far easier to play. 3. Don’t buy a $100 guitar! Most of them are made like crap and sound that way to. They weren’t made with the player in mind, They were made for the quick sale from the jerk reactions of potential customers who believe they can learn to play guitar fast and that it will be easy. So this is how it goes, you get that $100 guitar, 3 weeks into your lessons you realize this is harder than you thought so you try and sell it, only to find out no one will give more than $20 for it. Thats a $100 lesson to you. 3a. I said all that to say this: You don’t need an expensive guitar so one in the $500 range would be perfect. That way if in a few weeks you decide music is not your gig, then you can sell that guitar and regain most of you money back. Just my thoughts. So there you have it Marcella, listen when you decide to move forward with this and need help finding a teacher come back an ask for help and I will do what I can for you. Good luck on your journey and please come back and see me. Hi Markus, you’ve really broken down the comparisons between the guitars on offer. First off, I’ve never even seen a Breedlove guitar in the flesh. The model in question here, the Pursuit certainly sounds like a fine instrument and complimented the voices of those pretty ladies lovely. The only thing that I’m not 100% sold on is the shape. I’m a bit of a traditionalist and I’m not loving that headstock. I know this shouldn’t matter, but if I’m going to pay money for something & spend a lot of time with it, I want to love it. This is where the Yamaha comes in. Firstly, i loved the guys playing technique on the Yamaha, always been a lover of fingerstyle, so he had my interest right away. The guitar itself not only looks nice, but it sounds lovely, and the idea behind the pickups with 3 separate controls is great. He went from a muddy dirty Delta Blues tone, right through to a pristine, clear as glass country tone. If I was in the market for a new acoustic as a beginner, this guitar would certainly get my attention. But as I’ve been playing for many years now, I’d be focusing on a higher end guitar, as I feel I’ve earned it. But it is more than ample for your novice or bedroom player. Good lord I almost missed you here Jay. I was impressed by those controls as well.Theres no doubt about it Yamaha makes a quality guitar. Breedlove is still young yet(1990) it will be interesting to see how they develop in the coming years. I’ve played a few of the cheaper models in the store and I wasn’t impressed. But the Pursuit took me by surprise it really did sound an played very well. But as for the Yamaha, I’ve had one for years and wouldn’t trade it for love or money. Thanks for chiming in Jay its always good to hear from you. Talk to you soon. Learn something again. This time it was about the ART pickups build into the guitar. Was impressed with no feedback from these little guys. Dave Goodman has some good fingerpicking along with that slide bar. Because he used the slide bar I was more concentrated on the technic than the sound of the guitar, LOL!!! The APX with slide bar might have caused a little confusion for me where it made the guitar sound powerful. The CPX seemed more settled when Dave was picking this guitar. The Breedlove is just a monster of a guitar. Love the power sound this guitar has. Thanks for the writing and always a great read. Hey Larry good to hear from you as its been awhile. Yea, Yamaha has always been a good guitar, and Dave certainly gave a good demonstration of its electronics. I used to own a Classical Yamaha got nothing but praises for it. 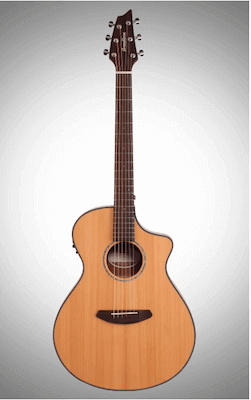 But that Breedlove sounds really decent and I think its an Acoustic Guitar to consider. Thanks for stopping by Larry and will see you the next time. I’ve never played guitar (properly) before or bothered to learn as it has never really interested me, although this article did interest me. You have covered this subject well and I didn’t realise how much was involved in picking the right guitar for you and your needs, I understood the need for a great sound and look for the rest I was unaware of. Hello Aiden, thanks for stopping by. Yep there sure is more to picking ones first guitar. Most people tend to pick their first instrument based on price. This shouldn’t be the first concern, its far more important to find the size of guitar that fits you. Do you need steel or nylon strings? Well to know this you have to know a few other things like, you want to finger pick or are you going to play more rhythm. Are you playing Classical, Rock or Country? Aiden if you ever decide to seriously start playing the guitar, check that Breedlove out, I believe you’d be very happy with it. I look forward to you stopping by again. Thanks for this great read on these two acoustic guitars, while I was familiar with the Yamaha name I must admit ignorance with regard to the Breedlove’s. It really sounds as though the Yamaha is a bit more limited tonally than I ever knew about I have seen and heard them played, but not being an expert I guess I never picked up on it. While I do appreciate the clean sound of an acoustic guitar I have always tried to play electrics which can help to hide a lot more imperfections in my playing, but after my read here perhaps I will investigate the Breedlove acoustics in the near future. Hello CannaGary thanks for stopping by. Its always nice when a fellow musician shows up and chimes in. Yep Yamaha is like a household name in instruments. While these two guitars are very good instruments and both are good for beginners to advanced players, maybe the style of music would determine which one is actually the best for the job. I’m more of a rhythm player to begin with and for me the tone has to cut through the mix as well as have good projection. I know what you mean playing electric, acoustics are just a different beast thats all. I’m sure if you got that Breedlove acoustic, it wouldn’t be long before you will find may times you would want to use it. Do stop by again CannaGary I’ll await your return. Hi Marcus – I’m not much of a musician myself by i love the tune “Whispers His Name”. Really made my day. I’ll be popping back just to listen to that track. On the subject of the two guitars in “Whats in Your Acoustic Electric Guitar”, I loved your review for its simplicity and honesty. Also directing us to the best retailer to obtain these guitars is a master stroke. That’s why you built the website in the first place. Hello Mark, I really liked that song as well. With the review on the Breedlove Acoustic guitar that was the perfect song to showcase the instrument. Thats not to say I didn’t like the Yamaha Acoustic guitar video because I did. I’m glad you enjoyed the review on those guitars and if you ever want to learn to play acoustic guitar at some point come back and see me as I’ll be glad to hook you up. Untile then come back anytime to listen to that tune. Great post, and you obviously know what you are talking about. I have a guitar, someone forgot it in my apartment after a party, and never came to pick it up. I can’t play much, and my lack of patience is what’s making it so damn hard to learn. Anyway, my son is showing remarkable talent, and now he wants to go out and buy his own guitar (or he wants ME to buy him a new guitar), so I can definitely put your advice to good use, and try to play before we buy. It’s good to hear from you and was very glad the post was useful for you. In a-lot of cases as well as mine the guitars we purchase tend to stay with us for life. In your sons case it might not be so but I would treat it that way. 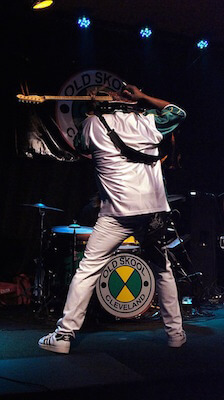 Often times new guitarist will grab the guitar that looks like the one their favorite artist plays. in a few months thats not really what they wanted anyway. Then you could be stuck with a guitar that you can’t get out of what you paid for it. Here’s what I would suggest for you to help him with. Try out 5 to 10 guitars he thinks he likes, don’t buy one instead go sleep on it. In a few days go back out and try out 5 other models (and/or styles) then again go sleep on it. Go out one more time with the intention of finding the guitar that feels the best for him. Its more important that it feels good in his hand and it fits him well as a whole. He might find that the guitar for him is not the one he first wanted, then chances are he’ll keep it and enjoy it. Hope this helps a little more. If I can help in any other way please let me know. 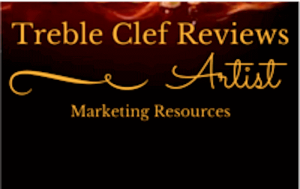 Thanks for stopping by TrebleClefReviews and hope to see you here again.